Hmmmm.....I have been either too busy or too hot to stitch. It took me a few weeks to adjust to the bifocals, but I have the hang of it now. My eyes and brain do not feel all wonky when I try to stitch now. Here is the current status of the Design Works ornaments. In other stitchy news, I have started to go through all of the patterns that I have accumulated over the past 30 years. There are so many patterns in the boxes in our spare room that it would take several life times to stitch them all. I even found a few patterns that I do not remember purchasing and two stocking patterns that were stitched up. Honestly! I need to sort out that mess and get it under some kind of control. 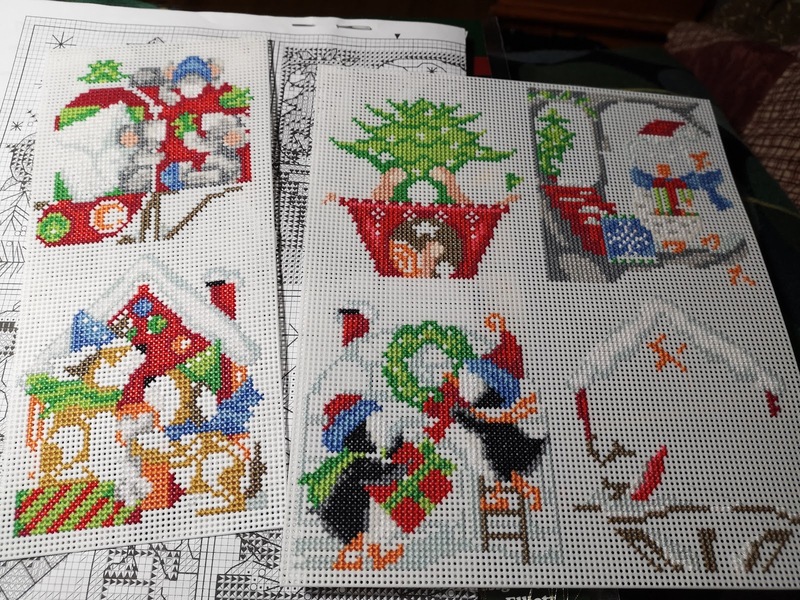 The "no" pile will be going up for sale some time soon on one of the selling/buying cross stitch facebook pages that I belong to so hopefully, I will make a little cash and the patterns might get used.